Why are US tech firms suddenly trying to restrict RT's access to social media? On Wednesday RT found its access to Twitter’s official news discovery partner Dataminr stifled, and it was temporarily denied full use of Facebook. These events followed weeks of hysteria about the network in the US. First up, we need to explain what Dataminr is. It’s an American startup with exclusive access to Twitter’s ‘firehose’ (the full flow of all Tweets in real time), vital to any agency that breaks the news. While it isn't hugely significant for casual users, it’s extremely useful for media services, and it appears government intelligence agencies too. We know this because a lobbying firm called Beacon Global Strategies told the Danish government about these abilities when pitching a partnership between Copenhagen and the tech company. 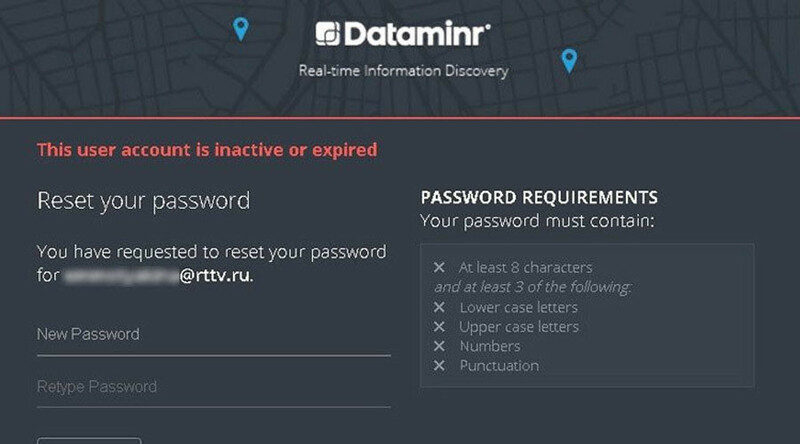 RT, along with dozens of other news organizations, has been using Dataminr successfully for some time. Nobody batted an eyelid until a strange Wall Street Journal article last May placed the network center stage in a battle between Twitter and American spies. Headlined “Twitter Picks Russia Over the US,” it suggested that Dataminr was selling information directly to Vladimir Putin, via RT. Meanwhile, it denied CIA operatives access to its platform. This stance changed five months later, when the startup, which is partially owned by Twitter, agreed to provide an “advanced altering tool” to the FBI. Furthermore, it was at the same time when RT's relationship with Dataminr suddenly became more confused. As this network attempted to pay the annual service charge for usage, the tech company insisted they’d prefer monthly payments, as they were “reviewing how we work with government agencies.” While that seemed unusual at the time, the reasons finally became apparent when RT’s access to Dataminr was revoked with immediate effect on Wednesday. This unfortunate and sad move appears to be a result of the climate of fear that sections of the US press are whipping up around RT and Russian media in general. The preposterous Wall Street Journal article of last May is just one of countless similar diatribes. 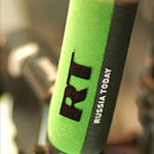 Written by Louis Gordon Crovitz, senior enough to have been a former publisher of the paper, it hysterically created the impression that RT was somehow passing on information from Twitter to Russian special services – in other words, baseless, utter nonsense. Just after Dataminr cut off RT, the plot thickened on Thursday when The Verge reported that it wasn’t only Denmark that Beacon had considered collaborating with. They also met officials from Azerbaijan and at least five other embassies over a period of three months. Unlike RT, which used the facility only for news gathering, these pitches were clearly made in ways that suggested it could have been used for surveillance. While Dataminr has exclusive access to Twitter’s firehose, Facebook has a de facto near-monopoly on the distribution of news these days. Thus, when they blocked RT’s ability to post new links and video from Wednesday night to Thursday evening, it was easy to see the one-two punch to RT’s social media access as more than mere coincidence. Especially, when RT was accused of breaching terms of service by merely streaming a video purchased under license from the Associated Press; AP confirmed it was entirely legal in a statement to RT. Not just that, but Facebook generated a notice nonsensically alleging that RT’s stream of AP video was infringing on the rights of US state broadcaster Radio Free Europe. Facebook rectified its error the next day. Where RT’s Dataminr relationship is concerned, it is reasonable to assume the decision to deny service came from high-up in the company – or perhaps even above.